Every reflection is regal in this glamorous mirror! 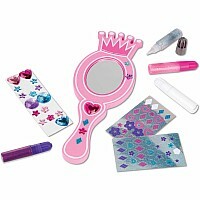 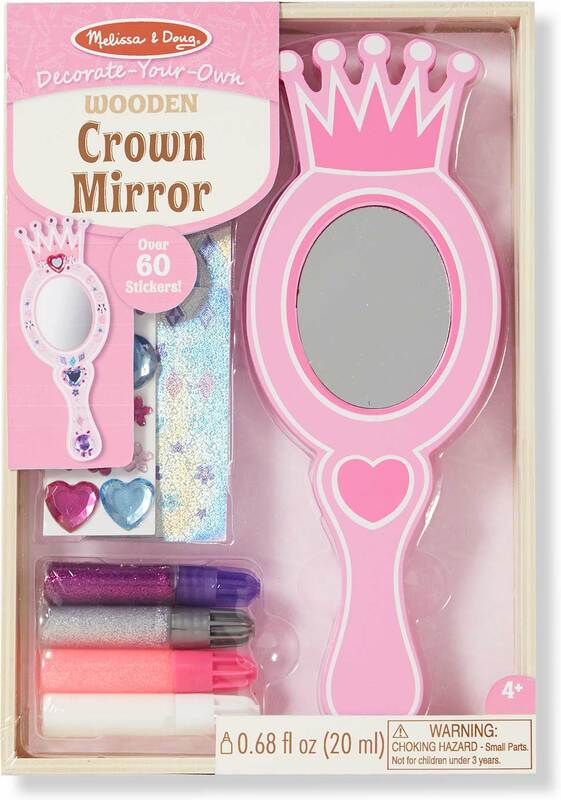 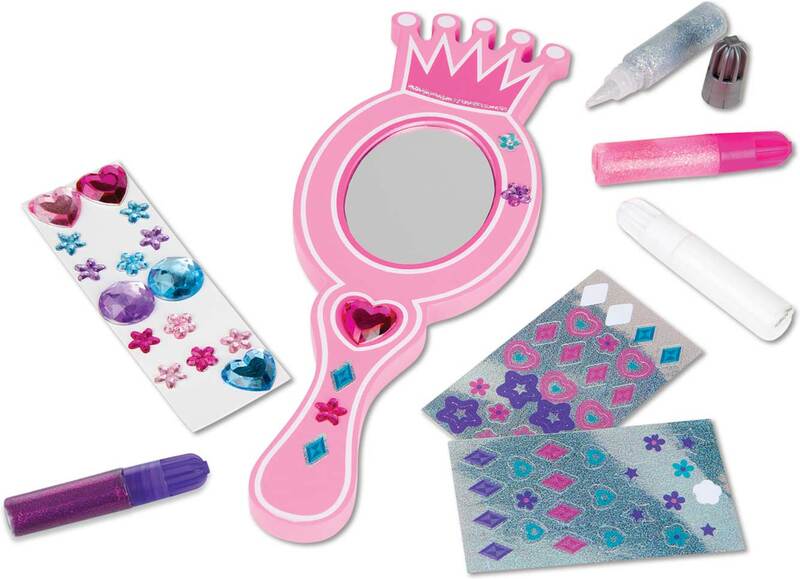 This creative craft kit includes a wooden mirror topped with a crown shape, glitter and white glue, sparkling gems, and stickers to personalize your project. 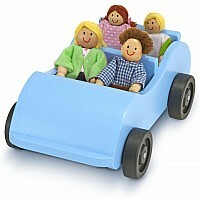 A perfect activity for parties or rainy days! 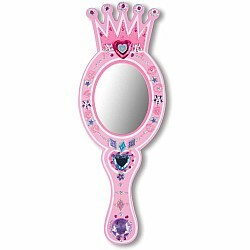 Mirror measures approximately 8.5" long. 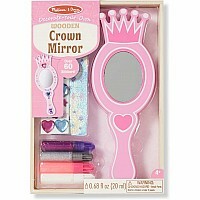 Measures approximately: 0.70 x 6.55 x 9.45 inches..